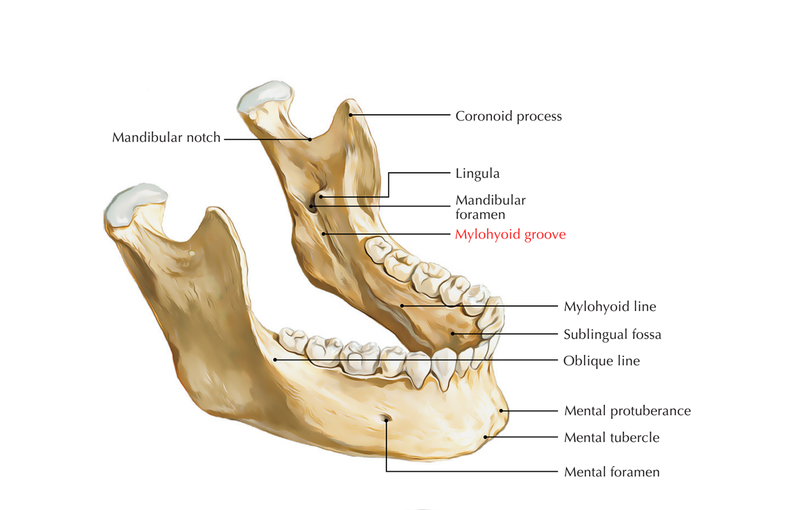 Mylohyoid groove originates just inferior to the mandibular foramen and in order to connect with the body of mandible inferiorly towards the posterior portion of mylohyoid line, it travels inferiorly and anteriorly. The medial surface of the ramus of the mandible is irregular, which is meant for connection of the medial pterygoid muscle posteroinferiorly towards the mylohyoid groove and mandibular foramen. In this groove, the nerve towards the mylohyoid is found.